October can be a busy month in the garden and temperatures cool and you actually want to be outside. Your lawn will begin to grow slower, so not fertilizing and limiting your irrigation if we stay wet can be key. You can even start to slow down on your mowing. However, our cool season weeds will begin to emerge. 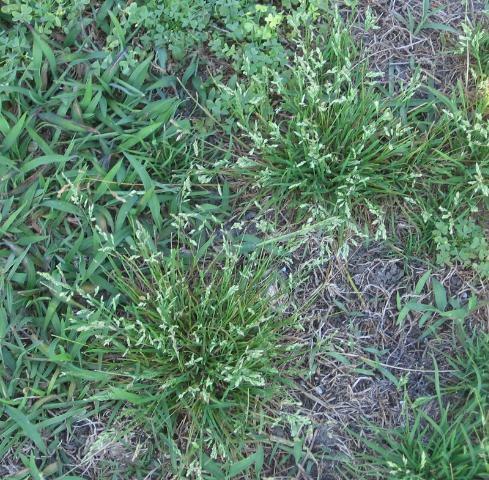 October is prime time to treat with a preemergent to control plants like annual bluegrass. Outside of the lawn, you have many cool season vegetables that can be planted out in the garden such as cabbage, broccoli, lettuce, and collards. October is also the month where you can start planting for fall and winter interest. Chrysanthemums, cold tolerant annuals, and some trees and shrubs that are evergreen or have interesting winter fruit or back can be a great addition. For more details on this topic, check out my article for the Florida Times Union here. I write this column monthly so check the newspaper or this blog for ongoing advice.